My name is Zarife. I am 55 years old and a mother of four daughters and two disabled boys, the eldest of whom died. 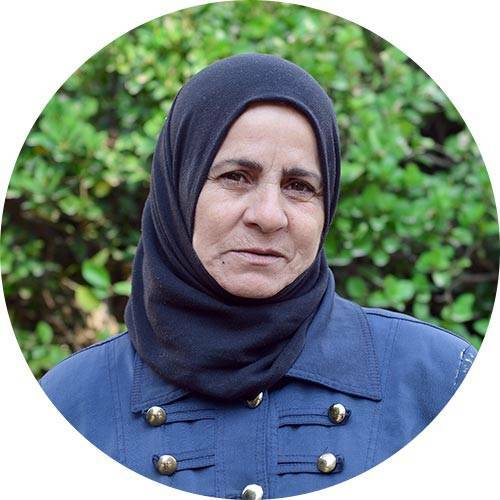 The life I led in Syria was only a simple one being, as I am, a widow. With the help of others we managed to survive, but as the war broke out, we became surrounded by destruction and death. Life became so dangerous that I decided to flee from Syria to take care of my disabled son, for I am his only provider, despite suffering myself from diabetes, blood pressure and a disease in my back. My disabled son and I are currently living with my son-in-law along with their four children. My son-in-law is the only provider for the entire family of eight people. I love my work and I hope it would continue because it provides me with an income. Finally, I would like to thank Martta for giving us this work and I wish her the best in her life.